In February of this year I was invited by New South Wales tourism to attend the Australian Open of Surfing in Sydney, Australia. I’m not a surfer and I had been to Sydney several times before, so I wasn’t really that interested in attending and suffering through a 16 hour flight. However, having read my list of my 13 Most Wanted Destinations, they sweetened the pot by throwing in a trip to Lord Howe Island. This, however, is not a story about Lord Howe Island. This story is about Sydney and about how no matter the number of times you visit a place, you can never assume you have it all figured out. I was in Sydney resting between other trips I had taken. I never went far from the Central Business District. I can’t say I disliked Sydney, but when it came time to make my list of my 10 favorite cities in the world, Sydney didn’t make the cut. Melbourne, where I had spent an entire month chilling out waiting for my new passport was the Australian city I had listed as being my favorite. In fact, as I look back on it now, I didn’t even have Sydney listed as an honorable mention. My ranking was an honest assessment of how I experienced the cities I had visited, but it wasn’t necessarily a fair ranking. Our views of a city or a country are fundamentally influenced by the experience we had. That can be shaped by the people we randomly meet, the weather and the things we choose to do. My previous Sydney experience basically consisted of staying in some hostels downtown and visiting the harbor front. That’s it. This time it was a completely different experience. I got out of the CBD and took the ferry to Manly (something I never bothered to do before). 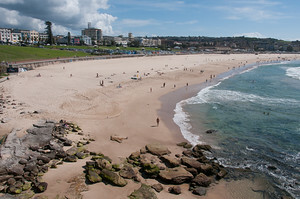 I went to Bondi and Bronte beaches. I went kayaking in Sydney Harbor. I visited Cockatoo Island. We did a pub crawl. We went all the way around to the mouth of the harbor, from which I could actually get perspective to understand why Sydney was settled where it was. Granted, some of the experience was that of a press trip where the hosts try to wine and dine you, but mostly it was just seeing parts of the city that I had never bothered to explore before. Sydney was a much nicer city than I had assumed. The reason for my previous perception of the city lied squarely with me and what I did when I was there. There is something much bigger at play here, than just my perception of one Australian city. As I am writing this I am sitting in New York City, a city I have visited dozens of times but in all honesty, never beyond Central Park and Battery Park in Manhattan. My perception of New York doesn’t include most of Queens, Brooklyn, the Bronx, Staten Island and Harlem. When I come here it is almost always for work and I never go out exploring. I’ve stayed in several different neighborhoods in London, but I can’t say I’ve really explored the city in any meaningful way. I’ve been to a few of the central androssiments in Paris, but haven’t set foot in most of them. I’ve heard some people say they didn’t want to go back to a place because they have “done it already”. You never can say you’ve “done” a place because every time you return you will have a different experience. You meet different people, eat in different restaurants and there are always other things to explore. 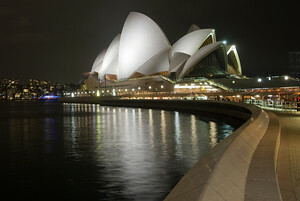 I shouldn’t have been hesitant to visit Sydney because I didn’t think much of it originally. I actually should have jumped at the chance. Don’t assume because you’ve been somewhere you’ve done it all. You haven’t and in fact, you can’t. I don’t know if it’s just me but I keep hearing about how everyone is going to Australia these days. I would like to catch the solar eclipse over there later this year. Also I would love to visit New Zealand as well! You can live in a place for 10 years and not be done with it. Also, the timing of your visit can make a lot of difference in how you perceive someplace defining your experience. Ironic how someone such as you who chases adventure all around the globe misses the opportunity from time to time. Most of us barely crack the surface of what there is to see when visiting a big city. We loved Sydney but only had around 5 days there. Next time you are in NYC, you should make a trip to Brooklyn. We’ll take you on a mini Pizza tour or a visit to Coney Island! I am damn in line with your thought. I have visited some countries for some times, but i had never enough to explore it all. Every time i visit the place, i never got the same. But, it’s the essence of travelling anyway, isn’t it? Just enjoy your ‘lost’ time.. I lived in Sydney for nearly five years, so obviously I’ve got a major soft spot for it. The Central Business District is indeed uninspiring and many of the outer suburbs are utterly interchangeable. But no matter how many times I go back (and I have been back at least once a year since I left), I never fail to be wowed by the harbour. When I lived there I was guilty of slipping into a work and pub cycle. I never really did anything in Sydney. Now that I’ve only got limited time every time I visit, I want to do and see as much as I can. Every time, I end up thrilled to discover lots of new things – it’s a city with many different characters – and every time, I leave with a huge list of things I want to see and do next time. There are few cities in the world with as much to investigate – and even a rifle through the leaflets in the tourist information centre makes that apparent. Yes, this must be true. I’ve had the same experience with Bangkok and NYC. One’s emotional state, the weather, who you meet, which hotel you stay at, all these things outside of your control influence your experience so much…. I had a similar experience with Madrid. The first time I went there I did not like it at all. I was only there for one day and had big problems with the airline before I got there. I was already pissed off when I got there which did not help. I have been back two more times since then and really like it now. Absolutely 100% agree with you. Being in the travel business I have been lucky enough to revisit places and each time my knowledge and enjoyment of the place increases. Using public transportation and your feet are the two best ways to “see” any place and interacting with the locals is a must for a full hands on experience. Good for you and thanks for posting your thoughts. 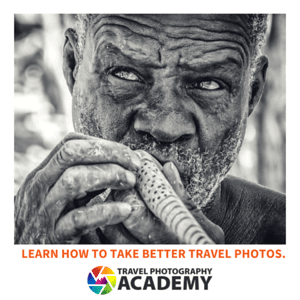 It can turn anyone from a tourist into a traveler. Hi Gary, great piece and coudn’t agree more. I lived in Sydney for the best part of a year and as with all cities it’s the bits outside the CBD that really make it. I had the same experience with Melbourne – was there for about a week, barely left the centre, didn’t have anyone to show me the good bits and was backpacking on a very tight budget – all things that left me without a great impression of the place, but I know from other people who’ve been there and friends who grew up there that there’s so much more to it.